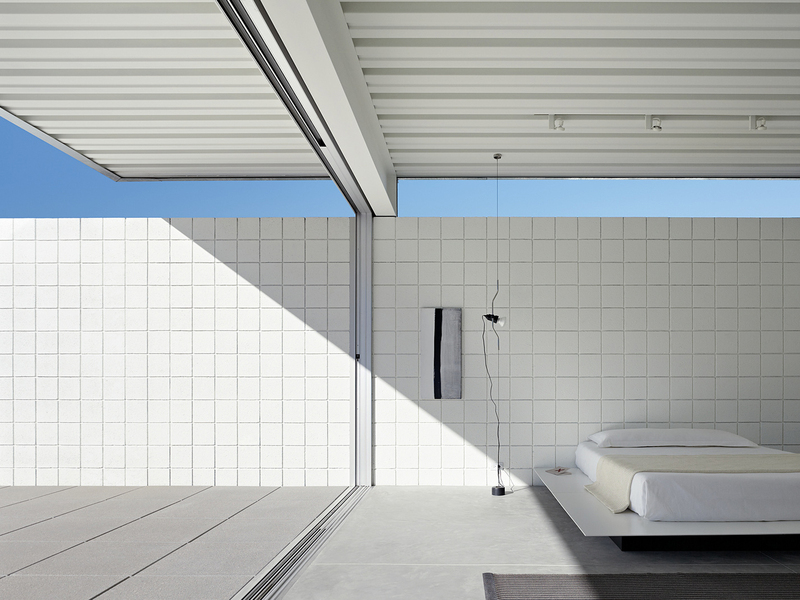 Desert One by Jim Jennings Architecture. 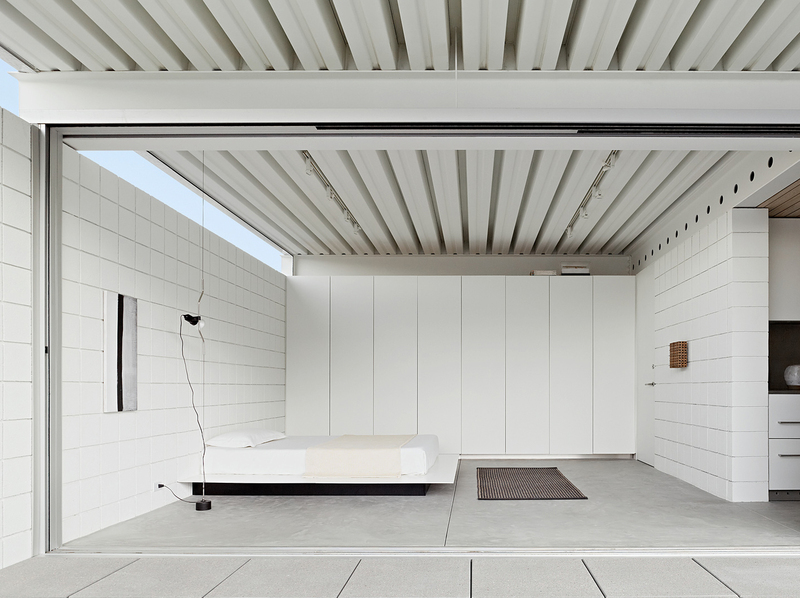 This ultra modern minimal white house is perfectly composed. 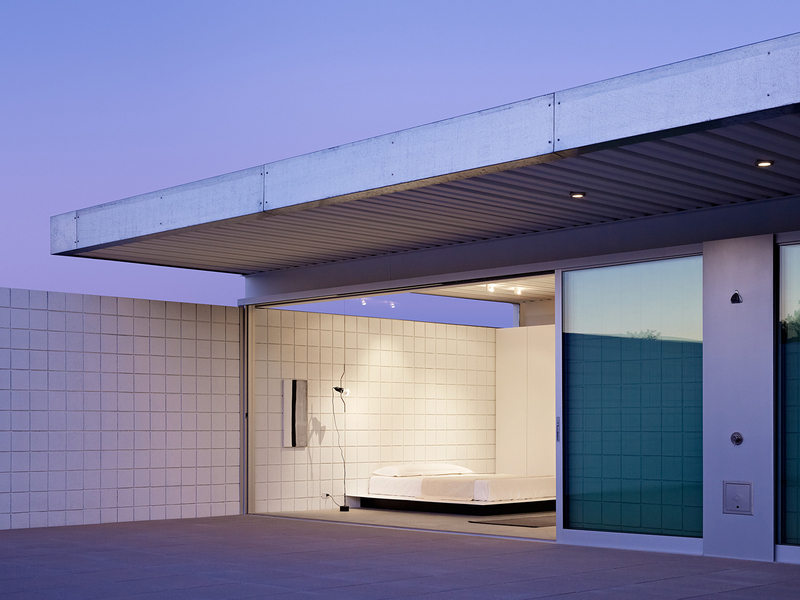 Its exterior walls and courtyards define the one-bedroom Palm Springs retreat. 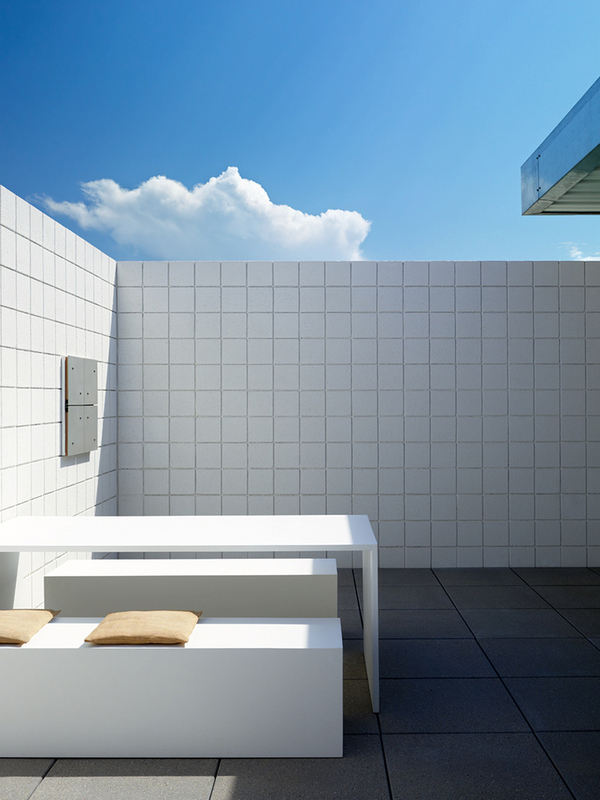 Pocketing glass doors open to create 2,300 square feet of supreme indoor-outdoor living space. 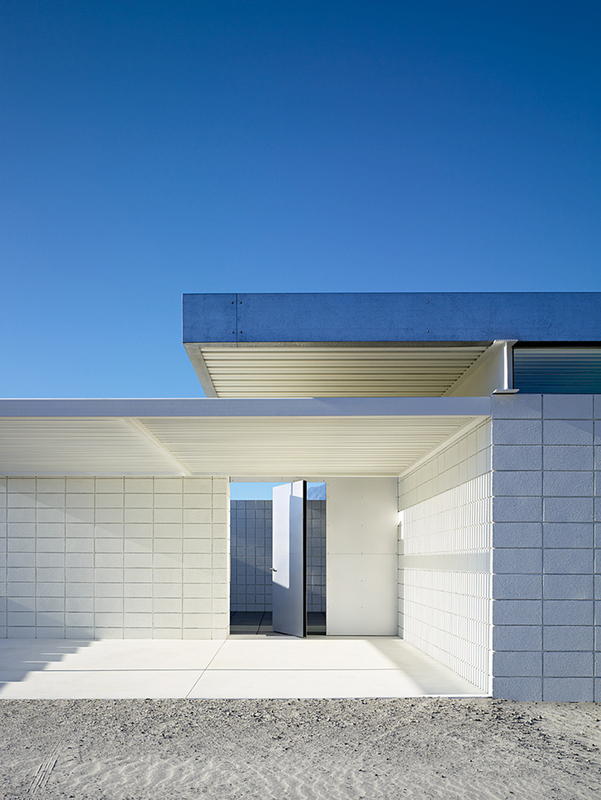 White-painted concrete block, concrete, glass and steel comprise the materials palette. 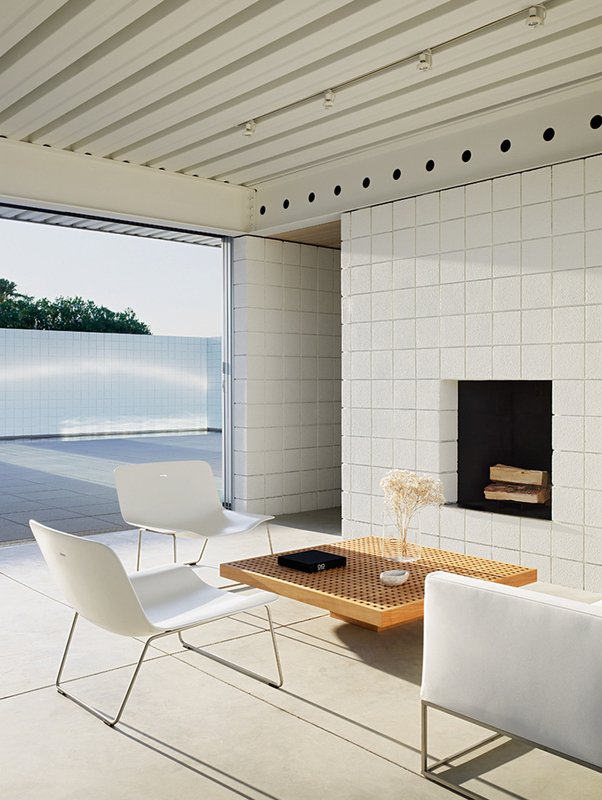 Achille Castiglioni & Pio Manzu Parentise Lamp by Flos gives a little touch of light. The native desert landscape surrounding the building has been left intact.